Please take a look at the photos on Abandoned Baton Rouge to see what has become of a once beautiful landmark on the LSU campus. 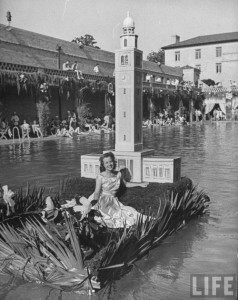 Our beautiful campus is losing some of our most precious memories and we can help save this one by signing the petition at the Save the Huey P. Long Swimming Pool website. I’d like to see this building and pool reserved but updated. I’d also like to see it open to LSU students for swimming while the aquatic center is used by the swim teams for practice and meets.